Grant will allow UAB researchers to study novel therapies for pulmonary fibrosis, a deadly lung disease with no approved treatments. The University of Alabama at Birmingham Division of Pulmonary, Allergy and Critical Care Medicine has received a $9.7 million grant over five years from the National Institutes of Health to identify and test potential therapies for pulmonary fibrosis, a devastating disease with no approved treatments. Medical Xpress)—Idiopathic Pulmonary Fibrosis, or IPF, is an incurable lung disease that, over time, turns healthy lung tissue into inflexible scar tissue – hardening the lungs and eventually causing respiratory distress and death. Currently, there is no cure. Phil Sannes, a professor of cell biology, studies IPF on the cellular level. In his most recent research, he’s found that in the case of IPF patients, three growth factors within different types of cells in the lung may be working together to cause the disease. Previous research, including earlier studies from Sannes’ lab, established two signaling molecules that seemed to be involved in the development of IPF: Wnt7B and TGF-?. Promedior, Inc., a clinical stage biotechnology company developing novel biologic therapeutics for the treatment of fibrosis, announced today that it has initiated a Phase 2 clinical trial to evaluate PRM-151, its lead product candidate, in patients with myelofibrosis. Promedior is advancing PRM-151, a recombinant form of an endogenous human protein that offers the potential to prevent and potentially reverse fibrosis. The Phase 2 clinical study of PRM-151 in patients with myelofibrosis, which is expected to complete in 2014, expands Promedior’s clinical focus beyond IPF to myelofibrosis, another serious, life-limiting orphan disease with significant unmet medical need. 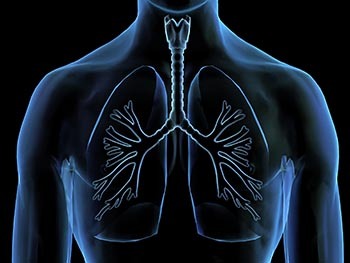 During the past decade important progress has been made regarding the pathogenesis of idiopathic pulmonary fibrosis (IPF), which is the most devastating form of idiopathic interstitial pneumonia with a median survival of 3 years. The knowledge gained has been used to design multicentre, randomised, placebo-controlled trials in order to investigate agents with different mechanisms of action. Encouraging results have led to licensing of the first IPF-specific drug, pirfenidone. However, the road to successful treatment is still long. The main aim for the future should be the careful design of clinical trials, by choosing the most clinically meaningful end-point and keeping in mind that combination of various agents may be more effective. This approach has been used in the treatment of lung cancer with which IPF presents many similarities. Israel researchers uncover secrets of how a certain white blood cell can flip from being a ‘good guy’ to a ‘bad guy’ in diseases with no current cure. Doctoral student Danielle Karo-Atar studying macrophages at Tel Aviv University. A type of white blood cell called a macrophage is one tricky customer. Expose macrophages to a certain stimulus and they’ll promote healing. But expose them to a different stimulus and they actually make the condition worse. A team of Israeli researchers is making unprecedented progress in mapping the mechanism of these “good guy, bad guy” cells and understanding their role in the progression of two deadly diseases: colorectal cancer and idiopathic pulmonary fibrosis (IPF), an incurable lung condition. Results from TIOSPIR™ (Tiotropium Safety and Performance in Respimat), one of the largest global chronic obstructive pulmonary disease (COPD) trials ever conducted, will be presented for the first time at the Annual Congress of the European Respiratory Society (ERS), in Barcelona, Spain, September 7-11, 2013. The highly anticipated three year TIOSPIR™trial assessed the relative safety and efficacy of the two marketed SPIRIVA® formulations –SPIRIVA® Respimat® Soft Mist™ Inhaler 2.5 µg (once a day, 2 puffs§) versus SPIRIVA HandiHaler® 18 μg. ** TIOSPIR™ included more than 17,000 COPD patients from 50 countries and, with broad inclusion criteria, featured a real-world study population that closely reflected the types of COPD patients physicians see every day. Boehringer Ingelheim is pleased to be sharing these results with the scientific community at the ERS Annual Congress, the largest respiratory meeting in the world. Oxidative stress (imbalance between oxidants and antioxidants) is part of the story of how COPD causes symptoms of cough and shortness of breath. Cigarette smoke is the main source of oxidation damage in the lungs leading to COPD, but even after they quit smoking, people with COPD still have a so-called “redox imbalance” that contributes to their daily COPD symptoms.